Dakhil Result Rescrutiny 2017. Dakhil Result Board Challenge 2017. Re-monitoring Dakhil Result 2017 start from 2nd February 2017 and it will continued upto march 2017. Dakhil Result 2017 had published recently. But There is a matter of great regret that, this result would be incidental to anyone. So what don’t worry, you would be go to Re-monitoring your Dakhil Exam 2017 all subjects. Someone know it Board Challenge. Someone know it Rescrutiny and Re-check Exam result. How many subject for you want to apply Re-monitoring it’s depends upon your result and your wish. If your confident, you would get better result or marks then you can go to for Board Challenge. Dakhil Result 2017 Rescrutiny have only one method. 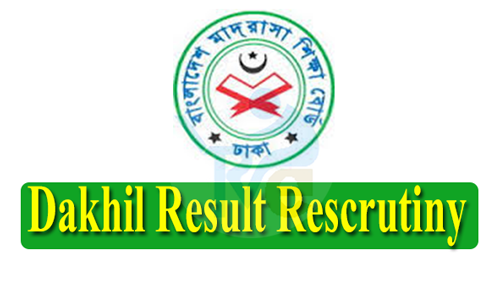 Dakhil Result 2017 Rescrutiny apply by SMS. You must be apply by Teletalk SIM. For per subject you must pay 125Tk, which is non-refundable. For Bangla and English Subject you must be pay 250Tk, which is non-refundable. Please follow the method below. Fill up each messages with carefully. Give your Contact number which is 24 hours available. Show and read your inbox regularly. Otherwise you must be fail Dakhil Result Resrrutiny 2017. Readingbd is education related web portal. Where you can find everything, which is education related? Such as – PSC Result, JSC Result, JDC Result, SSC Result, HSC Result, Alim Result, Nu Honours Result. Any kind of suggestion for Job and Education. So Keep on your eyes on our website and like our Facebook Fan page.